Your hard work in the autumn and winter months, digging and preparing borders, working in compost and tidying up is coming into its own. 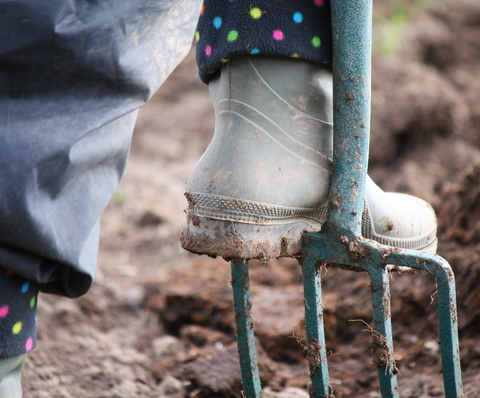 Frosts will have had a beneficial effect on the soil, breaking it down to a good tilth – that’s ideally a loamy, nutrient rich soil, a mix of sand, clay and organic matter will give you a friable soil that is not prone to compacting. Finish preparing borders, ready for planting biennials and perennials in April, by forking them over. Time to give the lawn some attention by feeding it and seeding bare patches. If the weather is dry and reasonably mild you can sow some hardy annuals such as Sweet Peas and Clarkia. Sweet Pea seedlings started in the autumn or in January under glass should be ready to plant out about now. Stop and consider how the garden looked through the winter months and where you could create winter interest with plants bearing berries and colourful bark. Large clumps of hostas can be divided before their leaves grow.